Keep Things Running – Right! 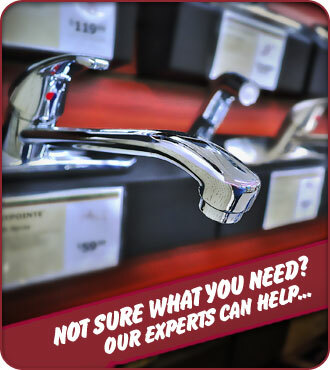 Rely on Cole’s Hardware to keep your plumbing running clean and clear. We’ll help with the brands, the products, and recommendations for the unclogging that drain, replacing those fixtures, whatever it takes to keep things running smoothly. And we’re right around the corner when you need that help – right away. You rely on everything working correctly for years when you go to work on your home’s plumbing and fixtures, so Come On Home To Cole’s where you can confidently and conveniently rely on the quality that only comes with the best brands in the business, names like Delta®, General Electric®, Peerless®, Culligan®, Master Plumber®, Bemis®, Reliance®, Watts®, Fluidmaster®, Genova®, SharkBite®, Pentair®, and B&K®. Click arrows to view brands found in our stores. Join our email list to receive periodic news & special offers from your friends at Cole's!